A surprisingly common Internet search topic, which often leads people to SkinTour.com, is Botox Mistakes. This leads me to think that either there are a lot of them being made, or there are many people who have seen bad results! 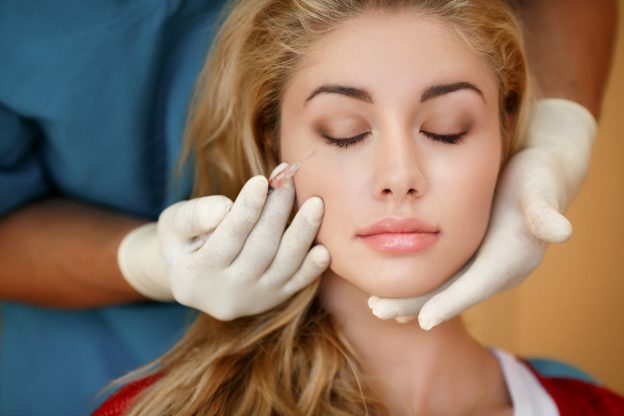 Especially as graduations and wedding season approach, consumers want to beware of the pitfalls and potential side effects of Botox procedures and make sure they go to a reputable and reliable practitioner. Keep in mind that with an experienced and talented doctor, PA-C, or nurse, these problems are very rare. On the other hand, places that discount prices are often cheap for a reason. We all know about some of the most common Botox mistakes, but here are a few that might surprise you. At the bottom, I list suggestions for finding a great doctor or nurse to do your Botox injections. Usually it’s the forehead, but I’ve seen people who look like the only moving part is their mouth. Hollywood, are you listening??? I call it the Oscar Night Freeze. We’ve all seen this: the expressionless face. The result looks slightly robotic and not natural in the least. The frozen face may not be a mistake in that some injectors are going for that look. And oddly enough a few people want it. But I think most would prefer to look more natural. 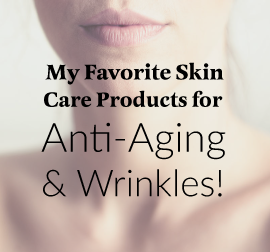 I believe the goal should be no wrinkles, not no movement. If too much Botox was injected and your face doesn’t move, you’ll just have to wait for it to wear off. Unfortunately, there’s no quick fix for this. When you dip your toes back in the Botox waters, take the time to find a good injector that understands your goals. Think Star Trek. Remember the one quizzical eyebrow – or was it both??? At any rate, another Botox error is when the treatment results in one or both eyebrows elevating so much that the patient has a chronically surprised look. In addition, odd wrinkles can occur over the lateral brow. A good injector can usually prevent this. This can also be fixed rather easily and quickly (usually at no charge) with a few strategically placed drops of Botox to relax the muscle that’s pulling the eyebrow up too high. Don’t suffer in silence, go to your doctor and ask him or her to fix it for you. This is a fairly common error and results from over-Botoxing the forehead, specifically the frontalis muscle, which goes all the way across the forehead and is used to raise the eyebrows. Too much Botox can relax the forehead too much, which results in that heavy feeling. One person I know described it as feeling like an elephant was sitting on her forehead. And when the forehead comes down, so do the eyebrows. Since those of us who have some excess eyelid skin (called hooding) raise our eyebrows a lot to make the eyes feel more open, then dropping the eyebrows makes the eyelids look worse, or more hooded. The feeling is like you can’t fully open your eyes. If the doctor doesn’t correctly perceive how much the patient uses this muscle, then too much Botox will cause the upper eyelid skin to look more hooded. Fixing this one is just tincture of time. You just have to let it wear off. This is the complication you read about most often, though it’s actually one of the rarest. Most of the time, it’s the forehead and eyebrows that have dropped, which is described above, and it makes the eyelid feel heavy. If you truly are having trouble opening one of your eyes, call your doctor. There are prescription eye drops that will temporarily help elevate the eyelid, making this problem bearable until the effects of the Botox have worn off. Now that Botox is being used by more injectors in the lower face, it’s sometimes not done well. Since people often come to my clinic to fix Botox mistakes, here are some of the things I’ve seen. When the muscles that control the shape of the mouth are injected incorrectly, it results in one side of the smile pulling up or down. Usually this is more noticeable when the face is in motion, but not always. There are a number of ways to make this look better until the Botox wears off, so see a Botox expert in your community. Fortunately, this is rare. It usually occurs when the Botox injected around the lower crow’s feet or eyelid migrates to a muscle that elevates the corner of the lip and parts of the cheek. On this one, you just have to let it wear off. This is usually caused by too much relaxation of the muscle around the eye called the orbicularis oculi. In some people who already have a tendency for that muscle to loosen over time, Botox in the crow’s foot area will make the puffiness and crepiness on the lower eyelid worse. Talk to your doctor about solutions. Sometimes an eyelid Fraxel treatment or an eyelid Thermage treatment to tighten or smooth the eyelid skin will help. Sometimes the only solution is to not use Botox in certain sections of that muscle. One, look at your friends and ask them. Not everyone will be honest of course. But many will. If you like the way your friend looks, chances are you’ll like their doctor. Two, schedule a consult if you can and find out how many years the doctor/nurse has been injecting Botox (at least 5 years is good). Again, not everyone will be completely up front about this. You can also try calling the front desk staff of an office and asking them. Three, avoid offices that advertise. Offices advertise because they aren’t busy enough. If they are really good, why aren’t they busy? Botox gone wrong! What can I do? Can this Botox mistake be fixed? Why would Botox wear off quickly suddenly? Can this Botox mistake be corrected? See all of Dr. Irwin’s expert answers on Botox Mistakes and how to fix them. Here is an excellent and entertaining piece on Bad Botox by a great blogger, with good celebrity photos!